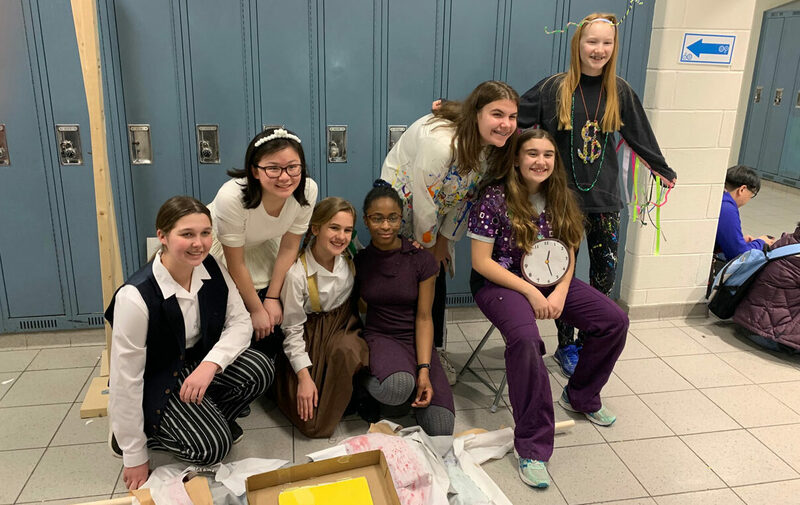 On Saturday, March 23, three HNMCS Middle School teams competed at Destination Imagination’s regional competition. 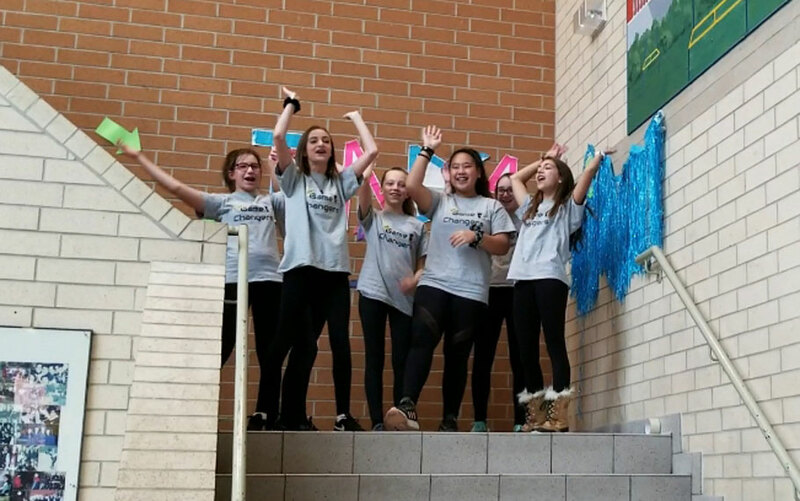 Destination Imagination is a global organization that promotes creative thinking and problem solving by having teams complete a challenge. This year the focus was on creating a story with “double vision” and using technology to make something happen on stage. Our scientific team, the Wild Card MeDIcs, dramatized a rap where the dreaded yersinia pestis bacteria attacked a white blood cell and was in turn defeated by an antibiotic. They created a “symptomatic” that showed the lymph nodes swelling in the neck of a person with the Black Plague. 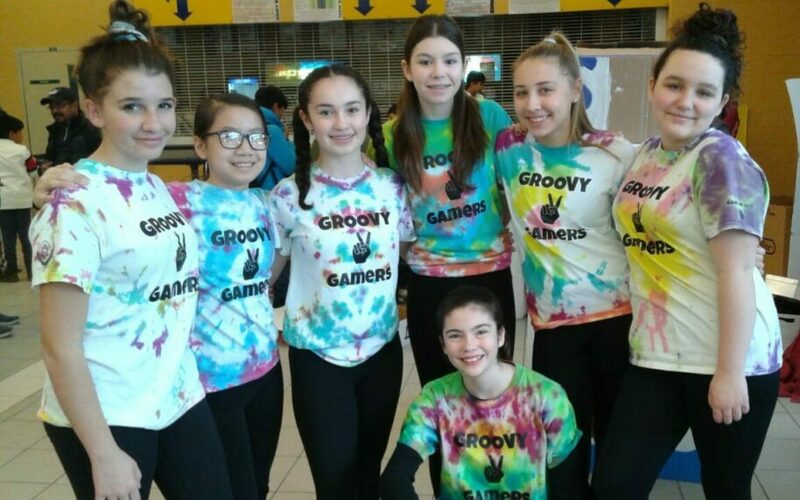 Our fine arts teams were required to bring a game to life. The Game Changers chose Clue and the Groovy Gamers chose Guess Who. They were challenged to have everything they needed for their performance in a box that would somehow transform on stage. They also needed a “game gizmo” that would do something to the characters in the game. The performances and solutions were fantastic. Congratulations to the Game Changers and Wild Card MeDIcs for moving on to Provincials on Saturday, March 30. Our two Middle School teams will be joining two HNMCS Senior School teams. Good luck everyone! Go Stars!